Scientist-turned-novelist Alan Lightman was born in Tennessee and attended Princeton University and the California Institute of Technology. His novels include Einstein’s Dreams (which has been translated into thirty languages), Good Benito, The Diagnosis, and recently Reunion. He has also published Dance for Two, a collection of essays and fables, and his essays and short fiction and reviews have appeared in a wide array of periodicals and magazines. 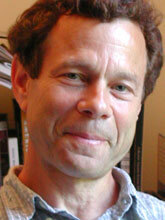 Alan Lightman teaches at the Massachusetts Institute of Technology and lives with his family in Concord, Massachusetts. This is our second conversation. Reunion tells the story of middle-aged Charles, a college professor and once-promising poet who attends his thirtieth college reunion and revisits the last year of his undergraduate life and the passionate love affair he had with a beautiful dancer. Jonathan Wilson in the New York Times Book Review writes, "A narrative of this love affair and reflections upon it form the bulk of the novel; the salient reunion for Charles arrives, via the vagaries of memory and its slipperiness and distortions, with his younger self. It comes as no surprise that for the author of Einstein’s Dreams considerations of love and life-altering choices are inevitably bound up with meditations on time, and in this novel, as in the earlier book, there are some formal innovations that demonstrate and endorse theories of relativity. But alchemically turning science into art is not at the heart of Reunion, which seeks, in less elliptical fashion than Einstein’s Dreams, to plumb life’s most complicated and enduring relationship: that between who one was and who one is." Alan Lightman: I think they do. I don’t think any one reviewer has supreme authority. I think you expect to get a range of reactions in reviewers, just like readers, and that’s related to the power of fiction, I think. It has that personal, individualized reaction. I think all the reviews together balance out and give you a message or feed back about a book. If all the reviewers or most of them are saying the same thing, either positive or negative, then that means something to me as a writer. The irony of Gail Caldwell’s review is that she also didn’t like The Diagnosis, and as I was going on a book tour, traveling around the country—because her review is syndicated and the New York Times is not, that her review kept getting reprinted in lots of these cities and was following me around. It was just like with The Reunion. Her review is negative, and the Times review is positive. It’s a review that will keep being reprinted in various places and follow me around. So that’s just the luck of the draw. RB: It’s not about me, so I haven’t the same sensitivity. I didn’t see the Caldwell review as terrible. I thought she expressed reservations. AL: No, it wasn’t a terribly negative review. RB: She began her review alluding to the baby boom and focused on the protagonist going to a reunion. Where Wilson starts off referencing Emily Dickinson and the vogue of "less is more" and then makes a clever little joke about the mini Cooper. At any rate two different foci. AL: As a writer what I want in a review is someone open to go into the depths of the book, and even if there are things that they don’t like, I want them to really get immersed in the book, to probe its depths and to be perceptive. To let the book speak to them on its terms and receive the book on its own terms. You see many reviewers—you can tell they go into the review with a preconception. They want to put the book in a niche or a category and they want to receive it in a certain way. That’s the wrong way to approach a book or any work of art. You want to listen to it talking to you. Later on you can say, "I listened to it, and I like the way it did this, and I didn’t like the way it did that." But what’s important is to be open to it. RB: I was thinking about a reading I went where Robert Stone was asked his reaction to a less-than-favorable review he received by Michiko Kakatuni. He said, "You know, I have never learned anything from her reviews." AL: One of the reviewers I admire the most is Richard Eder [NYT] and what he says about the reviewing experience for him is that he tries to go on a journey with the writer and see where the writer is taking him. And report on his feelings along the way. That is very close to my ideal reviewer being, open to the book, to be being receptive and not going in and trying to steer it in one way or another but perceiving it as it is. RB: I read a couple of reviews by Daniel Mendelsohn, one of The Lovely Bones that was really thoughtful and well presented and did the book justice and put it into an interesting cultural and historical context. AL: Good reviewers can do that. RB: Lovely Bones wasn’t a book that was interesting to me, but its success was. AL: So you might want to read the review and many of the reviews in the New York Review of Books are like that. Where they use the book as a stepping-off point to meditate on issues raised by the book. RB: So here we are. I know you to be a man who retires to the isolation of coastal Maine in the summer, and we are in the middle of the summer, and you are doing some outreach for your new novel. How did that happen? As a writer what I want in a review is someone open to go into the depths of the book, and even if there are things that they don’t like, I want them to really get immersed in the book, to probe its depths and to be perceptive. To let the book speak to them on its terms and receive the book on its own terms. AL: I have never published a book in the summer before. And this particular season there was a glut of novels in the Spring, and my book could have come out in the Spring, and my publisher advised that it come out in the summer, and I agreed. So I interrupted my retreat in Maine. A week now and then I go back to Maine and then in the beginning of September I do a couple of weeks. A lot of cities. I found in the past that leaving Maine for a day or two really disorients me. I get in a real meditative state there over the summer. It’s like taking a vacation. When you go on a vacation for longer than two weeks, you get in a qualitatively different mental state, and you can really hear yourself thinking. It’s a wonderful condition to be in, and I wish everybody had the luxury and privilege to be able to do that. Most people can’t take more than two weeks. RB: Wishing that sounds socialistic and utopian. People aren’t supposed to think and enjoy themselves. They are supposed to be consumer units and march along toward the radiant future that all their consumption creates. AL: If you have the meditative period, then you know why you are consuming. RB: [both laugh] Or you might consider fomenting revolution. Last time we spoke I recall that one of the features of your summers in Maine is an osprey family and you were considering writing a book about them. Are you still thinking of that? AL: I am still going to do that. I have another book that I am working on now that I want to finish, but it’s something that is in my mental pipeline. This summer there are three osprey children. Usually there are just two. But we watch them all summer long. We feel very attached to those birds. RB: This is the same family? RB: They return year after year from South America? AL: Yes, the children don’t return. They go somewhere and make their own nest. But the parents comeback to the same nest every year. We have learned their calls and the different sounds they make and what they mean. We have a big picture window that looks out on the nest, and so that is our television screen. Instead of watching television that’s what we do. RB: Have you named them? AL: We call them different names at different times. I had an idea a couple of summers ago about putting a video camera up on the tree, pointing down at the nest and just having twenty-four-hour monitoring of the nest. You could probably put that out on the Internet and you could call Osprey TV. RB: [both laugh] You never know. AL: The bird version of reality TV. AL: The world around him. AL: Why did I write the book? RB: [chuckles] No, I’ll ask the questions. What do you want to do to insure that this is an interesting story, given its commonality? AL: It’s a very common situation. Well, what interests me about it and the reason why I wanted to explore and invest the two years to write a novel—two years if you are lucky, longer usually—is that I am interested in consciousness and self identity and how we form self identity from memory. From memories of our past, how we reconstruct that memory to be the kind of person we want to be. How do we reconnect with our past selves? To me that’s a terribly interesting subject—the relationship between us and our younger selves and the way that memory mediates that relation. I was aware at every moment that the narrative was a love story, an older man looking back. That those were very dangerous things to write about because they are trite and the book could easily be written off as sentimental and self-indulgent, and some reviewers have dismissed it for that reason. But what I was interested in and what some reviewers have seen and understood is the other issues of the formation of self-identity and the way we reshape the past and memory for our own purposes. I think the nature of reality is a very slippery thing. You can have two people witness the same event and give different accounts of it. And so it’s not surprising that one person can give different accounts of an event—over time as they age and they become different people. Each of us is many different people. Every ten years or some period of time like that you become a different person. How do you connect with those previous versions of yourself? I was attempting to explore some of that in the book. RB: On a number of occasions in the novel, you offer alternative versions of the same episode. AL: Those suggestions that are part of that same aspiration. RB: This may be a silly question but why not? Could you have written this book ten years ago? AL: No, I don’t think so. I don’t think I’d lived long enough. I always laugh and joke about the fact that scientists do their best work when they are younger and artists do it later, when they are older. I think the reason is that writers and some other artists need life experiences. Whereas the scientist needs that mental agility that youth offers. Getting older doesn’t particularly help a scientist in the way he or she thinks about their work. It doesn’t help you become a better scientist to have more life experience. It does help a writer. I think this is why when you look at the work of the great scientists that scientists often so their best work when they are very young and you can see great books from writers coming out in their fifties and sixties. RB: Are you still a "practicing" scientist? AL: No. I don’t do research in science anymore. I stopped that in the early 1990’s. I felt I was past my peak as a scientist, and yet I felt I was still getting better as a writer, and I had a long way to get better and feel like there is still a lot of room for improvement as a writer. I wanted to keep being creative, to go wherever I had the most creative potential. RB: I recently talked to Karl Iagnemma who is over at the robotics lab at MIT. Part of our conversation had been about using science in fiction. We both observed that there aren’t that many writers who do it and we were about conjecturing why not. AL: Well, it’s dangerous to do it because you need to do it in a way where it is almost invisible, that the reader doesn’t feel like they are getting a lecture in quantum physics. It has to be just part of the landscape. It can’t be didactic. John Updike has had scientists in his novels and other writers do occasionally have scientists as characters and that’s the way to do it. Karl is finding that balance, right now, of how to put the science in, how much to put in. I like his stories. RB: There is Andrea Barrett. Thomas Mallon occasionally. Who else? RB: I found it odd because this is a time when science stories—discoveries and inventions are part of the daily news. So what is the leap from that to making them part of stories? AL: Well you can include them as science stories, a person is reading the newspaper and reads the Universe is expanding twice as fast as we thought it was, but the danger is when you trying to explain the science. The novel is a very poor form for doing that. Sometimes I wonder whether there are traits about scientists—human traits that make them different from other people. That would be an interesting thing to explore. RB: In Reunion, you include a series of anecdotes about an astronomer, but there is no science that is explicated. AL: No, there is no real science. He was just seducing young women. ”Reunion” is a novel that has all kinds of interesting things to say about how we reconstruct the elusive past, particularly where love and passion are concerned, but is also a book that comes with the high ambition of restoring authenticity to experiences that have been sullied and distorted by decades of interference from, well, the media, especially television and its digital cousins. "The communicating television screen that brings Charles and his partner, Sheila, a horrific story of the suffering of Honduran refugees actually does more harm than good and prevents, rather than assists, the passing on of meaningful information." Did you have the "high ambition of restoring authenticity to experiences that have been sullied and distorted?" AL: I would say rather than an ambition that it’s something that is on my mind. The Diagnosis was all about that. The issues that are on a writer’s mind will come out in their writing whether they intend it or not. In this sense all fiction is autobiographical. Even though a writer may not be writing explicitly about himself or herself the words, the story, the characters are coming out of a mind. That mind lives in a landscape, and that landscape is colored not only by everything that writer is doing as an artist, but also the whole life of the writer, all the issues that a writer is dealing within his or her personal life. They are all in that compartment together. Why does this writer choose to write about this topic? And that writer about that topic? Well, it’s not accidental. So I think that my ongoing concern in my personal life with the digital world that we live in, the fast-paced, noisy, digitized, disembodied world that we live in, it colors a lot of what I write. But I would put it that way rather than saying it was a big ambition. RB: Actually, my emphasis was on the wrong part of the passage. I was more interested in the concern with the "restoration of authenticity." AL: Of course, every writer would love to do that, if possible. And even if I did it a little bit I would be delighted. RB: What does that mean? Once you have had an original experience how do you restore it? I am interested in consciousness and self-identity and how we form self-identity from memory. From memories of our past, how we reconstruct that memory to be the kind of person we want to be. How do we reconnect with our past selves? AL: I don’t think it needs restoring. I believe that what he [Wilson] might be referring to, and what I would be very pleased with if I achieved, is to have more original experiences and not just mediated experiences. When we are looking at television, you could say in a sense that we are experiencing the whole world because television takes us everywhere, but it’s highly mediated. Whereas you take a canoeing trip in Canada by yourself when you can’t see anybody for miles and you are having an original experience there. RB: Allow me to differ with you. My five-year-old son watches television, and I mention the characters to him and he says they are not real—a shrewd observation. What I think he might be saying is that when we are watching television that we are watching a box with pictures of various marionettes. I don’t see its content as original experience of the world. AL: I don’t think most people do. AL: Take the Internet, there are people who spend many hours a day on the Internet and there are whole communities that converse with each other only on the Internet, the chat rooms and all those other things. And that seems to me to be, well, that may be what Mr. Wilson was contrasting to the authentic experience. RB: Right. These days Internet communities seem to be claiming credit for all sorts of miraculous achievements. AL: There is no doubt that the Internet is having a vast impact on our culture. And you can’t deny that whatever your attitude about it is. And so we have to deal with it. It’s there. RB: I am very fond of Chou En Lai‘s observation about the French Revolution which is my current mantra, "It’s too soon to tell." AL: I sense that it’s having a big impact, but I don’t know what their impact is. AL: …But I don’t know what it is. I’m not smart enough to figure it out. If I were editing Bartlett’s I would include that in the next edition. That’s a fine encapsulation of the reasons to resist the brave new world. Anyway, that’s from Charles early in the story, and then he attends his reunion and something happens, and at the end of the novel I was wondering if he had changed—if he was a changed man? AL: I think that he has changed some. I don’t think he has changed a lot. To have him changed a lot would be totally unbelievable and false. I think he has changed some. He has been shaken by and certainly been emotionally moved. And [long pause] in the last scene that he had when he encounters his younger self, which for me as the writer was the emotional peak of the book, I remember as I was writing that scene I was weeping. It wrote it self. I feel that he was enormously guilty of having let down his younger self. In not having lived up to his potential and therefore he had cheated the hopes of his younger self. RB: That can be crushing. AL: I was crushed by it. I think that the way that he acted with Sheila in the last scene made me think that he had a little hope, that even though he had let down, he had reneged on the future of his younger self, that he was not dead yet. There was still some life ahead of him. And that maybe he could find something with Sheila. And that’s what I felt in the way that he acted toward her in the every last scene. So you could say he has changed in a way [pause] I think he has had some insight into himself. Self-examination is always a painful process. Whenever you look deeply into yourself, you see things that you don’t like. There might be some things you do like. RB: Our narcissism makes us blind to those things. RB: Is Charles’ story one that you would want to reexamine? That you might come back to? AL: Yes, possibly. As I get older I might start hearing him to talk to me again. RB: I have talked to a string of young writers, which didn’t really come home to me until I talked with Joseph Epstein, who is not a young writer, and whose story collection has characters that deal with the concerns and problems of mature people, much like himself. Do you look at the body of your work as you mature and consider what you have written in terms of its developmental bench marking when you move on to your next project? AL: I do look at the body of my work. After a person has written a half-dozen books or so, I can’t imagine that they wouldn’t think about it somewhat. I am constantly asking myself whether I have contributed anything. RB: That would be a high ambition. AL: Yeah it is. Whether I have changed anybody’s thinking or made the world a better place, and I am thinking about that all the time. So at every point where I am between projects, where I am actively working on a project and I am trying to think of what I should do next. I ask these questions of "What could I do that has meaning?" RB: Is it part of your nature to write something purely for your own amusement and consider that a higher value? AL: Well it might be. It’s un-American for some group of Americans. I am obsessed with finding meaning and finding things that are worthwhile to do. And entertainment is not enough for me. RB: Are you looking around at the contemporary literary culture and pleased with what you see? AL: I am pleased with literature in the US. It is very much alive. There are a lot of wonderful new voices and there’s a huge range of voices, and it’s very exciting to be a writer and in the literary world today in the US. I don’t know enough about the literature in other countries, contemporary literature, there are individual writers that I like. I haven’t lived in other countries long enough to feel the overall Gestalt of what is happening. But here I do feel it. And I am excited by it. AL: …not very much for a Nobel Prize winner. Yeah, I have talked to writers in other countries who have told me that— that it’s very hard to break into this market. RB: Some editorial director was quoted as saying, "Well, Americans just aren’t concerned with what happens in Laos." I’m thinking isn’t that missing the point? AL: We might learn something about Laos on the way, but that’s not the point. RB: What is some evidence for your good feeling and belief in the vitality of the American literary culture? AL: I see the younger writers, people like Jhumpa Lahiri, Dave Eggers, Junot Diaz, Edwidge Dandicat, Jonathan Foer, I see that people are experimenting. They are taking chances. Not just writing the novels that they have read. And [pause] even an old hand like Don DeLillo, who is willing to try something like The Body Artist, which is totally and 180 degrees from what he has written before. But he is willing to explore and take chances. I think it’s dynamic and there are new literary magazines, Eggers has just started a new one. AL: That’s okay as long as it doesn’t affect the writer. RB: A big if. So now we have thousands of people in writing programs around the country, and we have, for reasons that mystify me, booksellers and publishers talk about the contraction of the market, why would people want to become writers when the idea of making a living has questionable merit? AL: All these writers I mentioned are serious writers, even Dave Eggers. He is unusual in that he made a lot of money from writing. But even if these people were not making a lot of money and of course there are a lot of excellent writers who don’t, I will repeat something that Rilke said, "You write because you have to write." I think the commercial aspects are invisible to the kind of writer we have been talking about. They are going to write because they have to write, and even if the market shrunk by another factor of ten these people would still be writing. We are not talking about the writers who do sequels and genres. RB: I found it noteworthy to discover, rooting around in the press materials about you, that Einstein’s Dreams had been made into a stage production. AL: It’s been made into a number of stage productions. AL: There have been a number of attempts, but so far no one has succeeded with that. But people have made musicals, and they have made musical compositions. Songs, and serious theatrical dramatic performances, a lot of those. No one has been able to crack the nut of making a film. It doesn’t matter to me if there is a film made of it or not. I am very delighted when other artists can do their own art inspired by that book. RB: Sounds like whatever the other iterations are, you don’t look at it as your work? …scientists do their best work when they are younger and artists do it later, when they are older. I think the reason is that writers and some other artists need life experiences. Whereas the scientist needs that mental agility that youth offers. AL: It’s somebody else’s work, and I think that’s important when people, that when different artists work in their own medium, in their inspiration and reconception, whenever you see a film that is made from a book when the book was good and the film is also good, which his a rare occurrence, it’s usually because the film maker totally reconceived the project. And had their own vision about the project and that’s what you need. RB: Is there an audiotape of Reunion? AL: There is going to be. And there was one for Einstein’s Dreams read by Michael York. RB: Like the movie I see these tapes as another iteration. AL: Yeah, it’s another art form. RB: It seems like they were viewed as the lazy alternative to reading a book. AL: It’s different experience and a rich experience especially if the person performing reconceived it. RB: We were talking about the darker parts of growing older. You’ve written x number of books and I’m sure working on something, but is there a longer view at this point in your life or an overview? AL: I have longer view, yes. RB: [laughs] Too personal to talk about? AL: It’s a personal question, but I will l answer. The biggest view that I have as we were talking earlier is I want to make the world a better place. Which is a very trite thing. But I feel it. I want to change the world in some way. Even if it’s a small way. And I think that at some point in time—it may not be that many years from now—that I want to get involved in a direct way with helping people who are less advantaged than I am. Writing may or may not play a part in that. So that’s what I see looking at my life as a whole. I have been very fortunate to have had a life in science and also a life as a writer, and I think my life as a writer will continue because I am still learning new things as a writer, but I would also like to change the world in direct ways, particularly with people who haven’t had the opportunities I have. I have a couple of things in mind that I can’t talk about now because they are too unformed. RB: You are not expecting the misery of the unfortunate people in the world to abate any time soon? AL: I am certainly not. RB: Our government is not going to do anything about the world’s unfortunate? AL: No. It’s working in the opposite direction. It’s creating more disadvantaged people. RB: Well, thanks. That was Part Two of our ongoing conversation. I’m looking forward to more. Posted in Author Interviews and tagged Alan Lightman, Novelists, Reunion, Robert Birnbaum. Bookmark the permalink. Trackbacks are closed, but you can post a comment.